Some of the best gifts are the ‘just because’ gifts. Show a colleague or client that you don’t need an occasion to show your appreciation with our exciting collection of unique ‘Just Because’ gift sets. When it comes to gift-giving, there doesn’t always have to be a reason – sometimes, it’s “just because”! What better way to make a beloved colleague smile or show an esteemed client you care with a thoughtful business gift, carefully curated from our exciting collection of ‘Just Because’ gift sets. 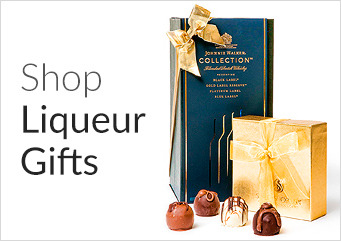 Featuring unique selections for everyone within your corporate circle, it’s easy to make someone’s day with our assortment of gift items – choose from gourmet chocolates and candies, luxurious wine gift bags, personalized travel mugs, scented candles, and so much more. 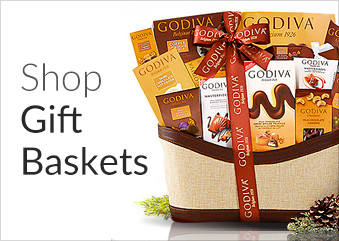 With our vast array of upscale and unusual gift baskets, you’re sure to find the perfect present for your professional gift-giving needs. For The Discriminating Man: Our Pfeilring Mach3 Shaving Set In Black is an elegant gift idea for the man who enjoys the finer things in life. This 3-piece shaving set features a pure badger brush for the ultimate luxury in shaving. For The Health Conscious: Exercise enthusiasts will appreciate our FitBit Blaze Smart Fitness Watch. Featuring a myriad of features including tracking your activity, monitoring your heart rate, and even step-by-step work out instructions, this smart watch does it all! For The Refined Palate: Tea aficionados and gourmands alike will adore our Tea & Cookies Gift Basket Classic – boasting a resplendent assortment of flavored teas, cookies, organic honey and other luscious treats, this decadent gift basket is as delicious as it is thoughtful. For The Avid Golfer: Whether they’re a pro or a novice, golf devotees of all ages will delight in our Hitting The Range Golf Gift Basket, including Top-Flite golf balls along with an assortment of sweet & savory snacks to accompany them on the course.